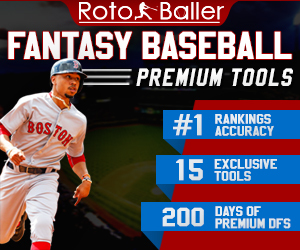 RotoBaller is bringing you another injury-plagued week in review. Are you starting to panic after your star went down? Are you debating whether X player will be able to return at 100%? 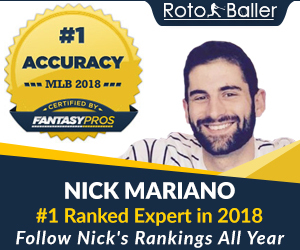 We have you covered as RotoBaller Max Loudermilch lends some insight. Eric Bledsoe (PG/SG) – First, the bad news: the Phoenix Suns' mainstay shooter tore his right meniscus. This is the second time he has injured his right knee and in the same location. Now, the good news: while ESPN had reported that Bledsoe would be out indefinitely, there is word that he may be looking at a 4-6 week window. Theoretically, the quick return would be a result of surgeons removing Bledsoe's meniscus entirely. Obviously, this raises some concerns. We'd like to see the star point guard go back to his usual self, but the rehab on this one will most likely take longer than anticipated. Even if Bledsoe returns on schedule, the challenge to maintain season averages of 18 PPG, 5.8 assists, and 4.3 rebounds will certainly be an uphill battle. If he's on your roster, you might want to consider swapping him for Gerald Green and let that train ride. Jrue Holiday (PG) – Holiday is out with a stress fracture in his right leg, and this comes during a pretty shaky season for the young gun. Over his last four games, he's put up just 22 points. While Brian Roberts is available, he has not shown that he is a good replacement thus far. Tyreke Evans has been terrible in his last two games and is struggling with his ankle, so a trade for him would be risky. Regardless, Holiday is expected to miss at least a month of action. We're at the halfway mark of the season, which means that time is now a limiting factor. 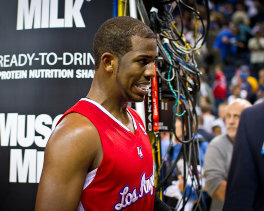 Chris Paul (PG) – It's been about a week since an update on Paul's injury was released. He could very well be out for most of February, but that's really just speculation at this point. What we do know is that he has not received surgery, which indicates that owners may have dodged a bullet here. This is the kind of player we would recommend holding until after the All-Star game. On the year, he has ridiculous averages of 19.6 PPG and 11.2 assists to go with 4.6 rebounds. You can't find a player like that just sitting on the wire, so your best bet is to sit tight for now. Lakers - It's a bloody mess over at the Lakers injury clinic, as just about every guard they have is projected to be out until at least February. Obviously, Kendall Marshall looks like a great add on the surface, but his shot is all over the place. In three of his last seven games, he has failed to score in double digits. Let's also remember that Marshall is the backup who's filling in for all of those beat up shooters. For a guy that has a half life of about two-three weeks, you're probably better off holding in this scenario. Check back next week as we recap the upcoming week's latest NBA Injury News and discuss how to manage your fantasy basketball team.